At My Japan Guide, we love train and Japan is a “train Empire”. 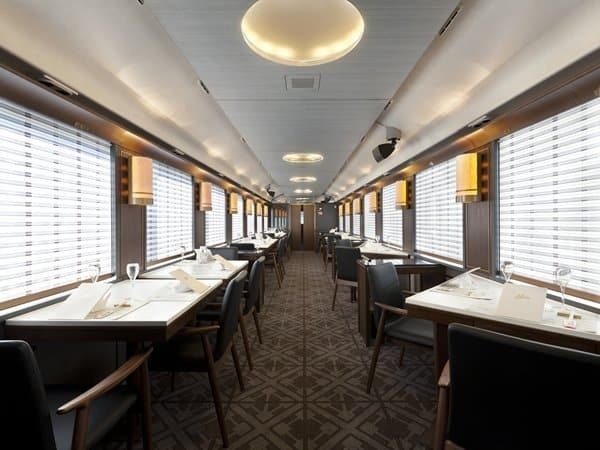 Following our article about the beautiful Setsugekka train in Niigata, here is some of the new restaurant concept-trains in which you will watch breathtaking scenery while enjoying fabulous food. It runs on the JR Hachinohe Line, between Hachinohe Station in Aomori Prefecture and Kuji Station in Iwate Prefecture alongside the Sanriku Coast, in which you will discover and experience “New Tohoku” through design, foods, arts and scenery. 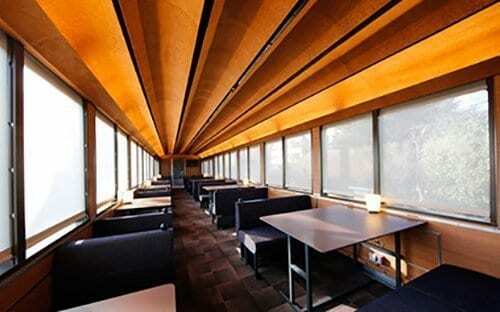 Prices are different for each travel plan, to choose between the “Lunch course” ¥7.200 and “Dessert buffet” ¥4.100. The schedule for this train changes monthly, so please check in advance. This sightseeing train started on April 17th this year and runs between stations in Tokyo and Saitama prefecture. As mentioned in the name,it can accommodate up to 52 passengers toward Chichibu, from Tokyo’s Seibu Ikebukuro and Shinjuku station.The coaches are decorated with seasonal scenes on their outside and you will enjoy the mountainous Chichibu region served with serve Japanese, Chinese and Western style cuisine. 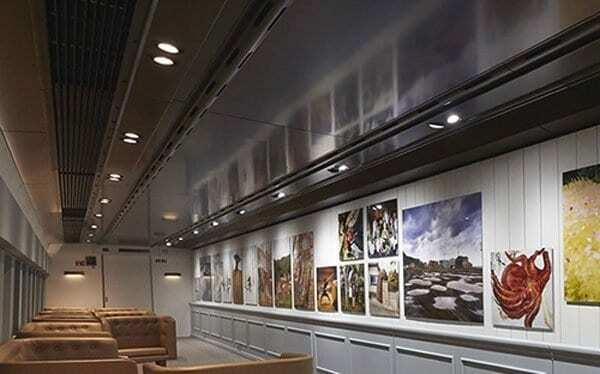 GENBI (meaning Contemporary Beauty) Shinkansen made its debut on April 29 as “the world’s fastest art experience” on the Joetsu Shinkansen between Echigo Yuzawa and Niigata Stations in Niigata Prefecture. Seven of cars are decorated both inside and outside with artwork and used as art exhibition spaces, with painters, sculptors, and visual creators: Nao Matsumoto, Yusuke Komuta, Kentaro Kobuke, paramodel, Naoki Ishikawa, Haruka Kojin and Brian Alfred. One of the car has been converted into a café featuring local Niigata specialties, like the Uonuma City’s vanilla cake or the Sado Island’s cream cheese lemon cake. The service is every Saturday and Sunday through June 26, with a new schedule from July onward to be determined. Price is about ¥10.000. There are plenty more, contact us to make a reservation.